Plan a Ladybug Picnic Party & Learn about the Ladybug Life Cycle too! Spring and Summer are the perfect time to throw a Ladybug picnic or Ladybug theme birthday party! 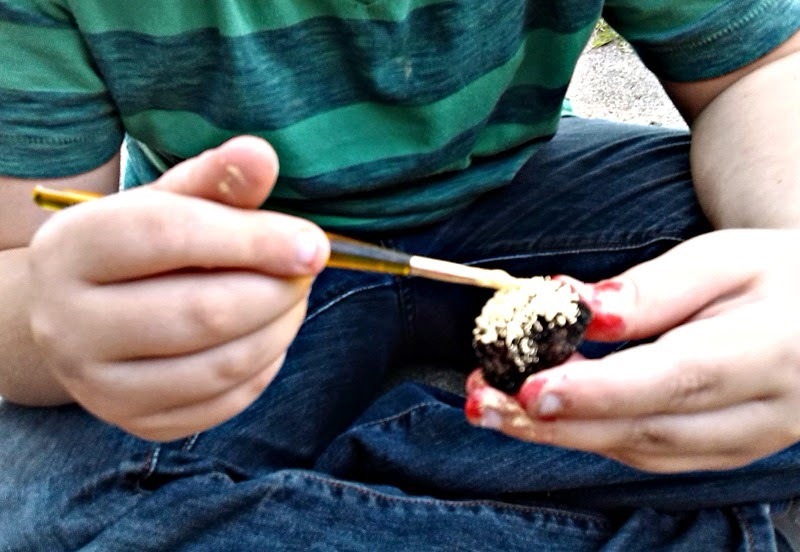 We love to sneak in educational elements whenever possible, so we've come up with some fun Ladybug activities and added an educational one too. 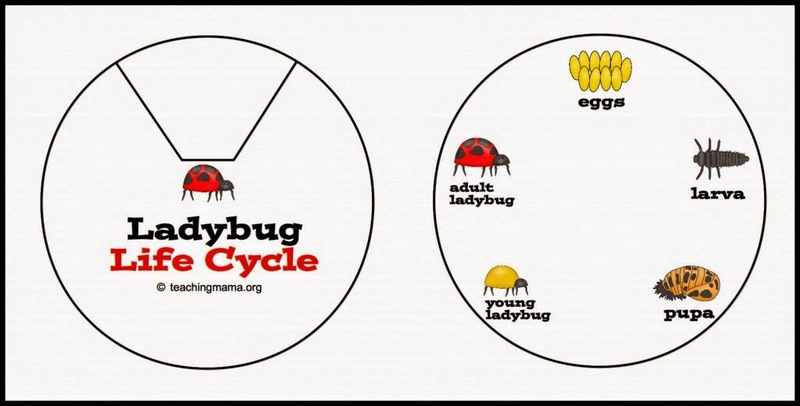 Learning about the Ladybug's life cycle is fun - Scroll down to find more Ladybug learning activities from Teaching Mama. Enjoy! Plan a Ladybug Picnic Party and Learn about the ladybug Life cycle. Online, you will find lots of different Ladybug tic tac toe games. 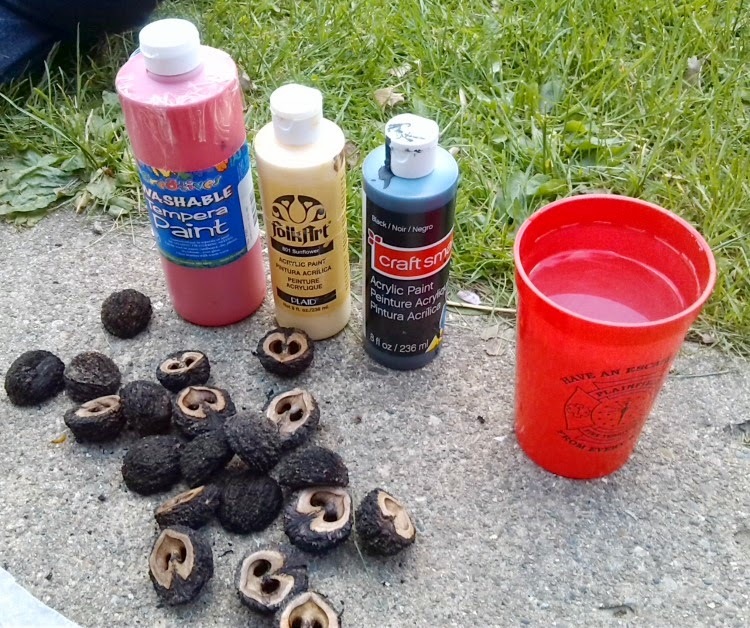 Some are made of construction paper, others use painted rocks, blocks of wood, or even sticks. for Tic Tac Toe and Checkers games. We enjoy taking hikes around our property. It is like our very own nature park. 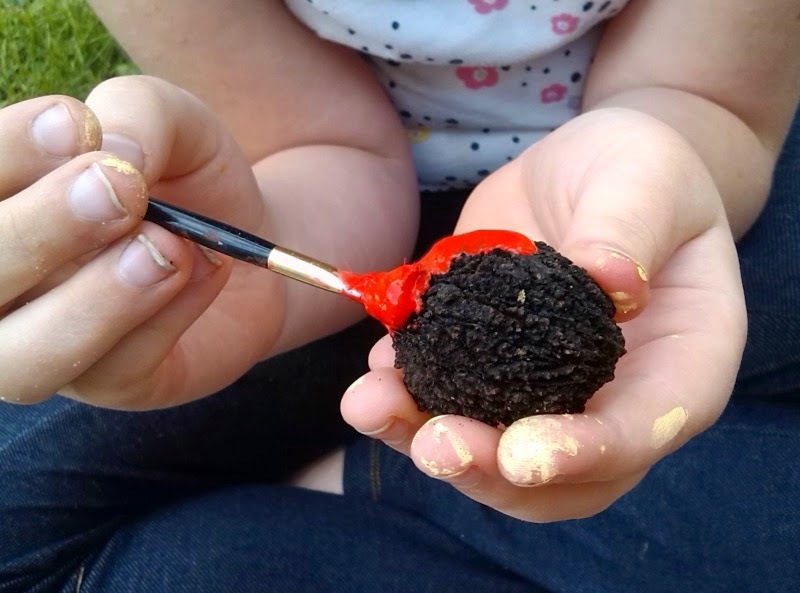 So, on a recent hike, we collected broken Walnut shells to paint like Ladybugs and Bumble Bees in honor of the book, Ladybug Girl and Bumblebee Boy! These are so cute and perfect to leave sitting out for an impromptu game of Ladybug Tic Tac Toe or Checkers. Ladybug Girl and Bumblebee Boy Party. Want your own? Let us know in the comments. Just store your bugs in a woven basket, and leave them sitting on a table or bench as an invitation to play. 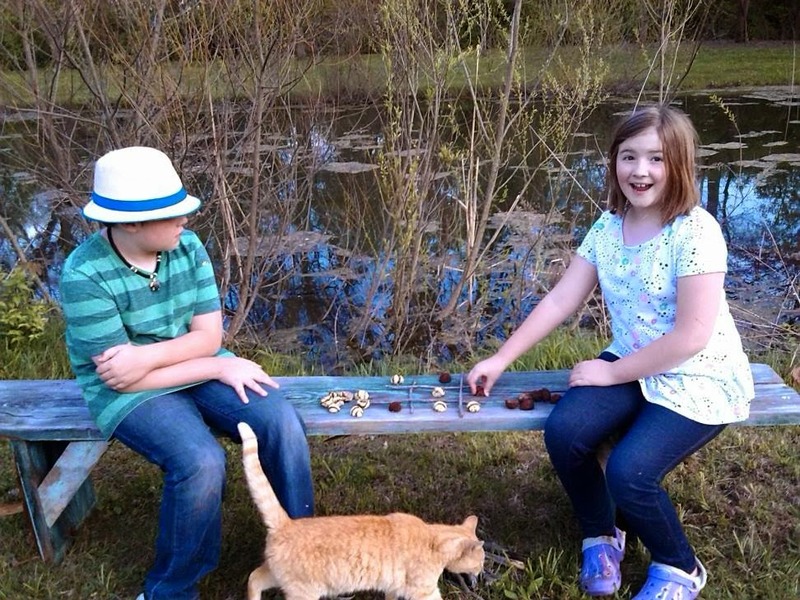 We tossed in sidewalk chalk, so that kids can make a board anywhere they want! 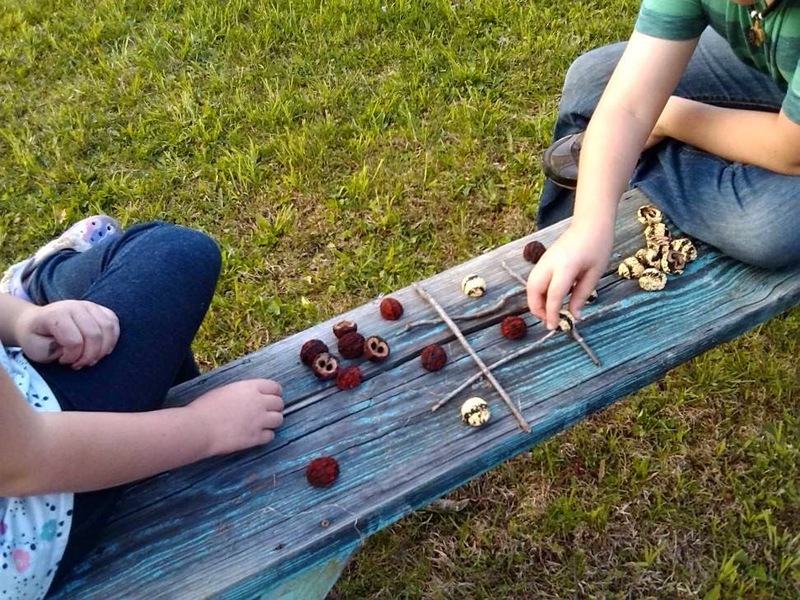 Sticks make a perfect natural Tic Tac Toe board. Make and play Ladybug Tic Tac Toe and Checkers. In the story, Lulu and her dog Bingo meet up with Sam on the playground and want to play together. Sam likes the sandbox but Lulu thinks the monkey bars are better. They just can’t agree…until Lulu asks, “Have you ever played Ladybug Girl?” Quickly, Sam becomes the brave Bumblebee Boy, and he and Lulu, a.k.a Ladybug Girl, are superheroes who save the playground from scary monsters and mean robots. New friends want to join their game too, and soon the Bug Squad is formed with Ladybug Girl, Bumblebee Boy, Dragonfly Girl, and Butterfly Girl using their imaginations to keep the playground safe. 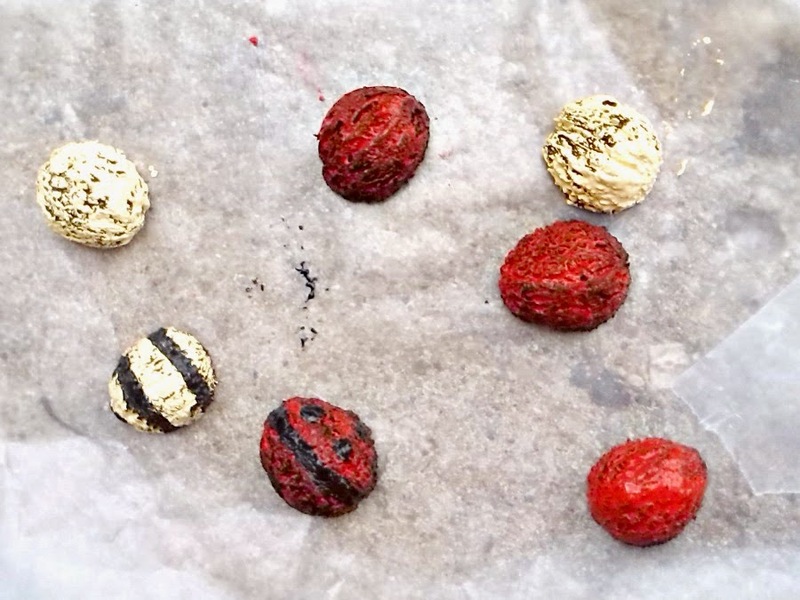 Gather walnut shells, paint, and brushes to make a Ladybug Tic Tac Toe game. 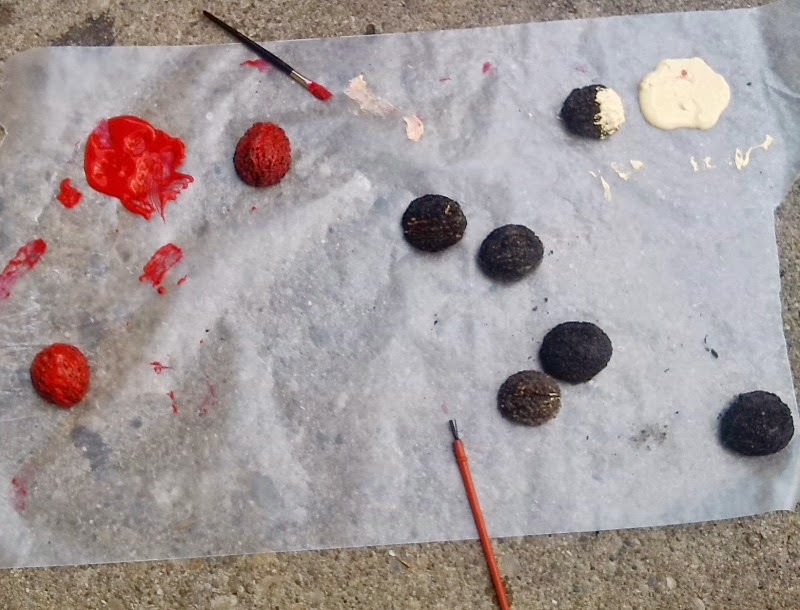 Paint walnut red to make a ladybug. Paint walnut yellow to make a bumblebee. Hop over to Teaching Mama to print a ladybug life cycle printable activity the kids can make at the party! This is one of my all time favorite Sesame Street Videos: Ladybug Picnic. 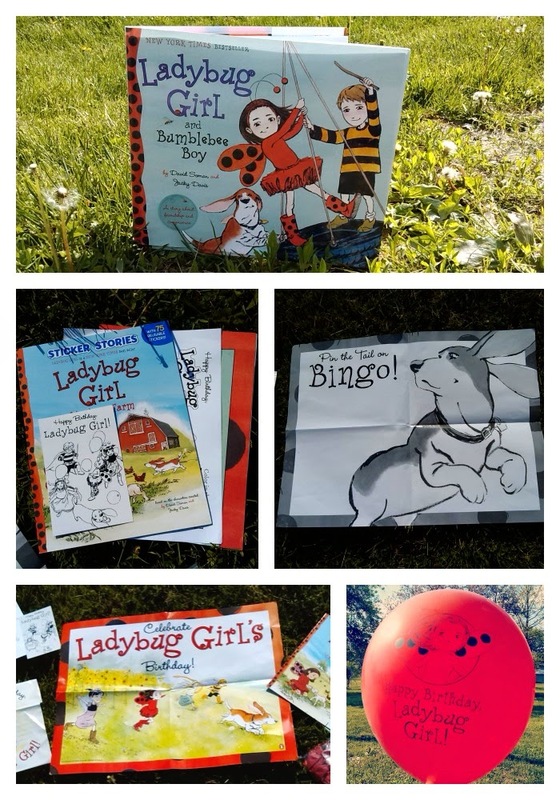 Don't forget to leave a comment to enter to win Ladybug Girl items for your own party!